What about particular finger lengths? If your fingers are fairly medium in scale and proportionate to your overall frame, you can play with more sizes and details. 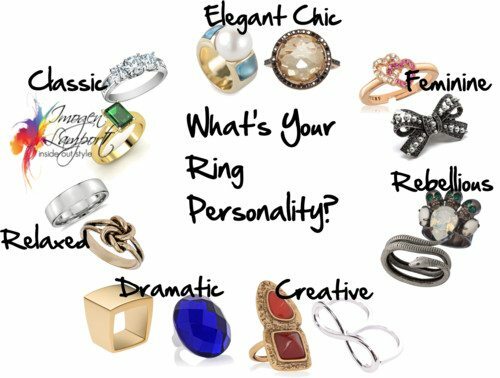 Work with your personality to find rings that you love. Do you have favourite rings? 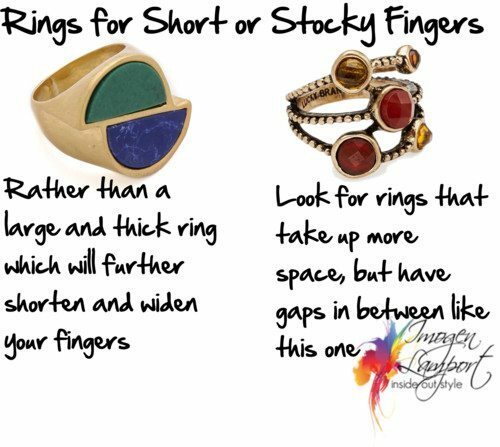 Do you wear the same rings all the time or change them up most days? Are you someone who will only wear real gems or do you love to play with costume jewellery? 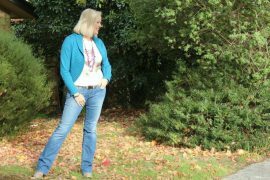 I just discovered your blog and I am LOVING it! 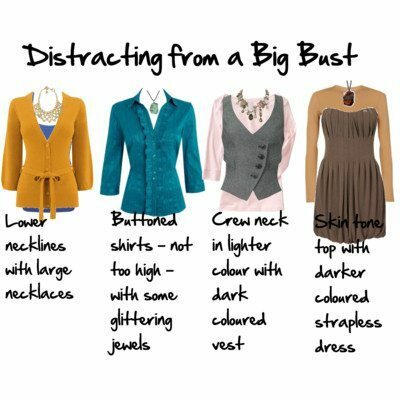 I have always wondered why some things look better on me than other things, and I’m pretty sure based on your blog posts that I am something of an I/V/X (depending on if waist would be considered “defined” enough for X), and I am short-waisted, long-torsoed with an oval face! Haha so much to know about oneself! Now, the reason I comment on THIS post is that out of all accessories/clothing items, rings give me the MOST trouble. I have shortish fingers. They are narrow, but get wider as they approach my hand. So after the knuckle where it should taper again, it just gets wider…. so all rings tend to make my hands look stubbier/sausage-y… I will try to hunt down some rings with gaps now and try them on! 🙂 Thanks! I wear the same rings all the time. On my left hand is my wedding band and on my right hand is a turquoise ring my dad bought me when I was a teenager and my grandmother’s ruby ring I inherited when she passed. Back in high school/college I used to wear a ring on each finger, it was what I was known for. I used to be really creative/dramatic with them. Now I learn more towards classic and relaxed. The ones I choose to wear now have special meaning for me. Once again, I learn something new. I knew my rings weren’t exactly right but I have several different styles so I just thought rings looked awkward on me. 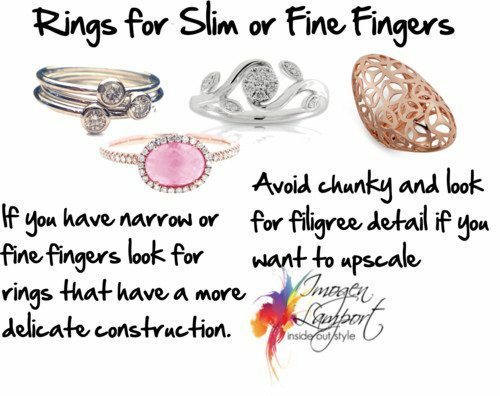 I have short stubby fingers and have both chunky rings and delicate ones. Now I know–open spaces, same as necklaces for me. Thanks, Imogen! I only wear chunky cocktail rings because Ive some odd childhood habits – I bite on smaller rings. x’D My fingers are long & slim I guess, but never bought rings after the fingers shape. Nevetr heard about this before. This is great information, thank you. Would you also please consider doing a similar post or posts to help with the selection of earrings? I’d like to see information on how to select the best sizes and shapes for my face and hairstyle, as well as what style earrings look good with different outfits; i.e. casual, dressy, sporty. Any other dos and don’ts would be appreciated as well. 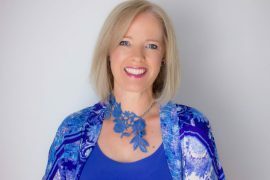 I’m loving your blog so much – and learning so much! Thank you. I’m wondering – when choosing the shape of a ring, curved or angular, should that harmonize with your facial features or nail shape or something else? Both I think Katherine – I’ve noticed that on my hands a squarer shape looks better than a round (when talking diamonds) and my nails are more squoval than curved and my hands are kind of square looking.